Banks and regulators worldwide are starting the new decade at loggerheads, but signs are slowly beginning to emerge that point to the future shape of regulation. Banks are on the back foot as regulators bid to outdo each other in the severity of their clampdown on disclosure and banking governance. Pay, boardroom practice, investment strategy and indeed the very structure of their industry are now being targeted for radical overhaul. The past two years of financial chaos have shown the global banking system does not work, say the pundits, and the next decade will be spent fixing it. There is little doubt that in the post-crisis financial services landscape it is open season for regulation. What the regulators will actually do is far from certain, however. No scheme has yet been imposed, although some tentative efforts have been made in Europe and the United States to get to work on clipping the wings of the banks. These are likely to be forerunners of some quite dramatic changes to world banking. In the United Kingdom, which some see as a bellwether for regulatory changes around the world, pay is at the heart of the current campaign against the bankers. The British government’s move in early December 2009 to curtail the discretion of a bank’s directors to award bonuses in banks where the public has a large shareholding signaled a sharp change in regulatory direction. Ministers such as Gordon Brown started to talk about “a need for far greater transparency so that the public is aware of what’s happening.” Coupled with the clampdown on bonuses is greater pressure on banks to disclose salaries. The recommendation contained in the Walker Report on banking governance, published in November 2009, for banks to publish the names of those earning over £1 million, adds to the pressure for transparency in remuneration. It also seeks the disclosure of performance targets, bonus deferrals, vested share awards and clawback provisions. Board-level remuneration committees should also be mandatory, the report said. Muscling in on the remuneration of European bankers is the European Commission, the EU’s executive branch, which has proposed a law that would give national regulators the powers to fine or raise capital requirements for a bank whose remuneration policies encouraged too much risk-taking. While the regulators move in, the bankers have a tendency to keep their heads down. One lone voice was that of Sir George Mathewson, the former chairman of the Royal Bank of Scotland, who exclaimed that “interfering with contracts reached between willing participants is a somewhat dangerous route to go down.” He also said that the UK regulator, the Financial Services Authority (FSA), had sufficient powers to deal with bonuses. For the most part, however, the banks are resigned to change and greater public intervention. Banks are now required to find a regulatory formula to fend off intervention and criticism. This must provide for safer institutions, sounder, more transparent markets and banking products that survive competitive pressures. 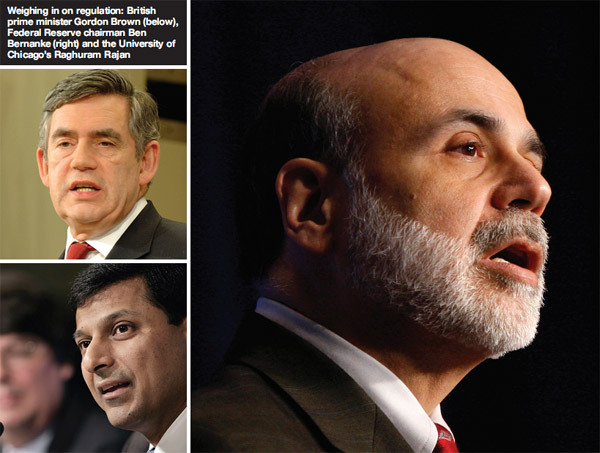 Regulatory proposals have come from Nobel laureates, investors, central bankers, presidents and prime ministers. In the middle are senior banking executives, struggling to assess the future of the bank, the likely size of their pay and the extent of their autonomy. Proposals vary between schemes that would add to regulation and cost but leave the current banking system alone, and those that would break up today’s institutions. The latter solution would leave them, arguably, less in need of regregulation, but much smaller and with less capacity to cause systemic risk. Alan Greenspan, the former head of the US Federal Reserve, advocates a stronger capital cushion for banks, with graduated regulatory capital requirements. Thus, capital ratios would increase with bank size to “discourage them from becoming too big and to offset their competitive advantage.” He is supported by Eric Dinallo, former superintendent of insurance for New York State, who argues—not unreasonably— that every financial institution needs to have the necessary capital to support its financial commitments. Cushions against future shock will be established when the sun is shining. This will allow banks to rely on them during a rainy day. This deals with a “pro-cyclical” system, meaning that banks are encouraged to take on more risk during the good times, just when they have the most need and capacity to save for the bad times. Prime among those advocating the countercyclical cushion is Raghuram Rajan, a professor of finance at the University of Chicago. He wants financial institutions to maintain sufficient “contingent capital.” Rajan has written that banks should pay the equivalent of insurance premiums to the government during boom periods, in exchange for payments during a downturn. At the other end of the spectrum is Joseph Stiglitz, the Nobel Prize winner and renowned economist. He wants to change the entire face of banking by requiring existing institutions to separate commercial (depository) and investment banks, in effect reverting to the Glass-Steagall Act passed in 1933 and repealed in 1999. Some powerful forces have teamed up behind Stiglitz, including Mervyn King, the governor of the Bank of England, and John Kay, a former head of the London Business School (LBS). Stiglitz also wants to restrict the leverage that financial institutions can assume, and he advocates a greater correlation between executive pay and long-term performance. Those seeking to shoot down the argument for a banking system with discrete commercial and investment banks cite the cases of banks that had discreet functions before the crash but still did not survive. The key cases are Northern Rock, a pure UK mortgage bank that funded itself through capital market activities, and Lehman Brothers, a pure investment bank with no retail operations. While much regulation will be targeted at the banks over the next decade, some can be expected to land on the shadow banking sector of non-bank financial institutions. This is likely to follow guidelines set out by the Group of 20 when it met in London in early 2009. Ben Bernanke, the chairman of the US Federal Reserve, advocates the adoption of resolution procedures for closing troubled financial institutions in the shadow banking system, such as investment banks and hedge funds. He is joined in this approach by Paul Krugman, another Nobel laureate, who wants to regulate institutions that “act like banks,” particularly hedge funds and private equity houses. Other regulation is likely to be targeted at financial instruments that have unintended third-party risks. These include credit derivatives, which some argue should be traded on well-capitalized exchanges rather than over-the-counter markets where they can slip through the regulators’ grasp. These unwound in the recent crisis, wreaking great damage on counterparties to Lehman Brothers after its demise. Less complex regulatory solutions to today’s banking system have come from British prime minister Brown, who advocates creation of an early-warning system to help detect systemic risk. The least intrusive—and perhaps most achievable—of all suggestions from campaigners urging a change in financial regulations comes from legendary investor Warren Buffett, who wants banks to require homebuyers to make minimum down payments of at least 10% for home mortgages. Efforts to rein in a banking system that is perceived to have lost touch with its social purpose are likely to give rise to a rethink of the system of regulation as well as the rules themselves. Britain again provides a model that other countries may follow. According to Steve Blackbourn, a compliance consultant at Wolters Kluwer Financial Services, with a potential change of government looming there is a chance that the UK might pull back from its reliance on the groundbreaking FSA as the regulatory landscape goes through significant changes. 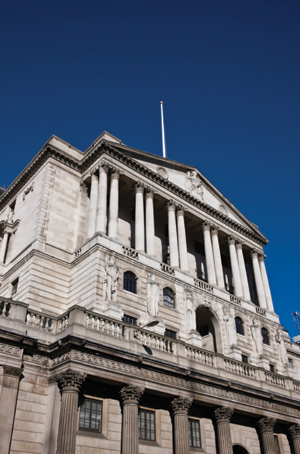 The changes “might include the transfer of certain supervisory authority and responsibilities back to the Bank of England and even the creation of a new and more focused consumer authority,” he says. Responsibility for bank supervision was controversially removed from the bank in 1997, when the Labour government came to power. The central bank would determine whether each and every bank, securities firm and insurer had enough capital and liquidity and whether they were managing themselves in a sensible, prudent manner. It is thought that the FSA would be retained to monitor the selling of financial products to the public. While regulators would certainly like the banking system to reflect their exhortations, the reality is that economic events will bear down more forcefully on banks than the longwinded process of restructuring the banking system in one of the many ways that have been advocated. 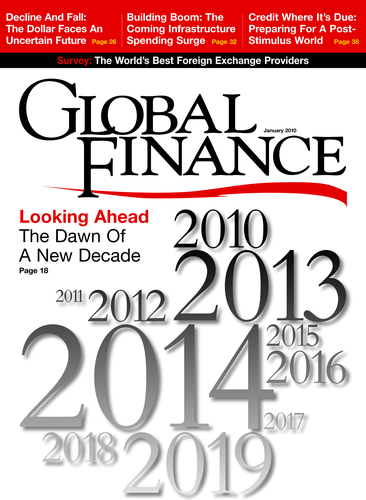 It is reasonable to assume that the financial system will look quite different in a decade’s time from today. But it would take an unusually percipient observer to predict the shape of banking— or indeed whether banking will be any better protected from its exposure to financial collapses than it is today. It is safe to predict, though, that bankers will remain the object of political and public attention for quite some time. Regulators and governments will also ensure that much of the attention will not only be unwelcome, it will also be hostile.